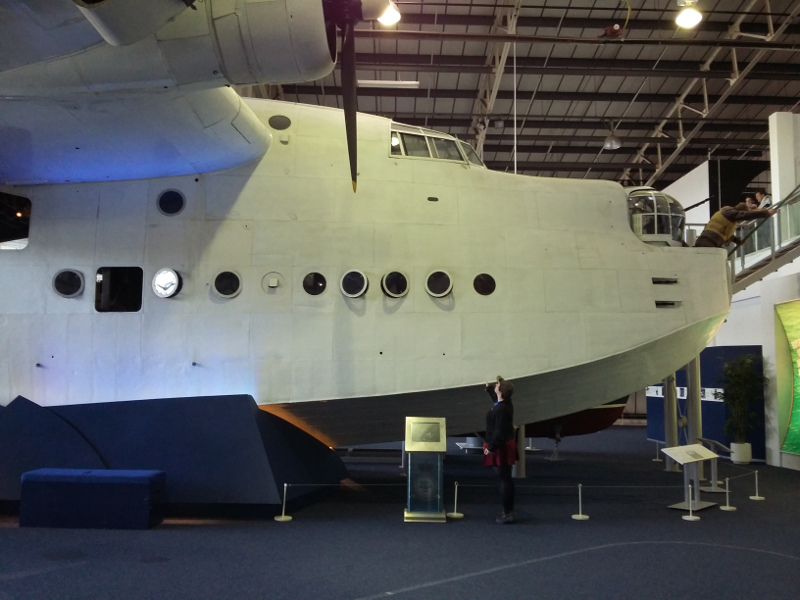 I hadn’t heard of the Sunderland flying boat until I started research for the story which became Under Leaden Skies. I hadn’t even heard of RAF Coastal Command. From the moment I stumbled across those names though, every detail I learned made me fall a little bit more in love with this magnificent aircraft. 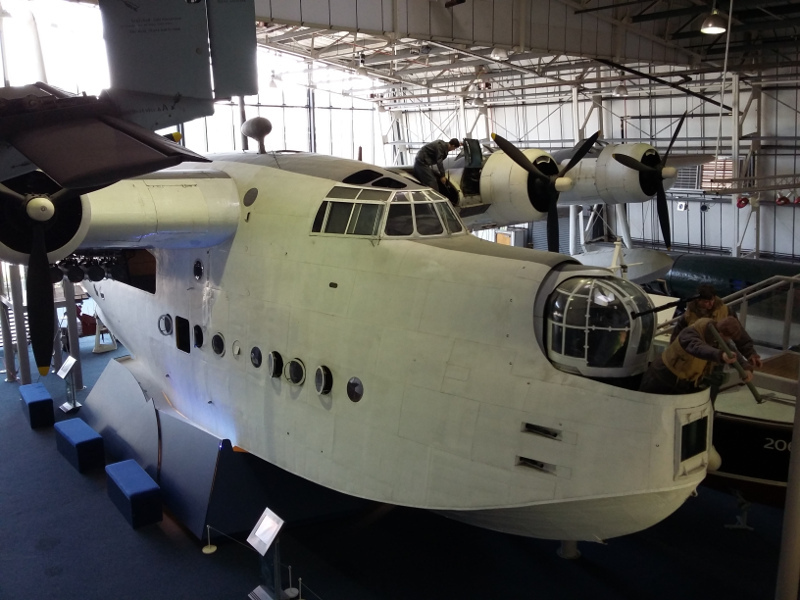 In October last year, four years after first learning about them, I finally made it to the RAF Museum in London where one of the few remaining Sunderland flying boats is preserved. Filled with a mixture of nervous tension and giddy excitement which only increased as we made our way through the different hangars, my first sight of the Sunderland, looking down from the gallery above, made me grin and bounce on my heels. I spent a good five minutes admiring her from up there, taking photos, marvelling at her size and appreciating the effort put in to the display, before I ventured down the gangway to enter by her forward hatch. I stepped inside, and my stomach dropped. Mentally, I shuffled through all the diagrams, drawings, written accounts, YouTube videos and vintage films which I had seen. How could I have missed it? How could I not have noticed what I now saw before me? How had I completely and utterly failed to spot the set of stairs connecting the upper and lower decks between the Pilot’s and Co-Pilot’s chairs? I would have to re-write That Scene. 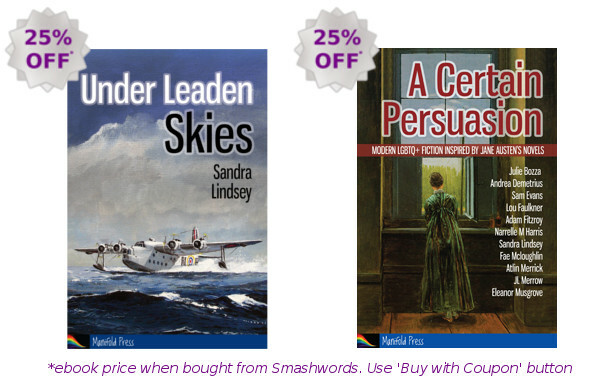 One of the most climactic and important scenes in Under Leaden Skies, and I would have to re-write it because there wasn’t a level deck between the two pilot’s seats. I have no idea what the other visitors to the exhibit made of me that day. I tried to keep out of their way as I took photo after photo, made notes to myself on my phone, and muttered under my breath while I completely re-worked the scene in my head. I like to think it came out better in the end. I walked through and around that Sunderland at least half a dozen times, noticing different details each time. The safety instructions on every hatch. The steepness of the ladder which comes down to the galley. The narrowness of the bunks, and how it would be an uncomfortable struggle to fit two grown men in one. The ashtrays on seemingly every wall, including the bomb bay. I may have had a little sniffle when I imagined ‘my boys’ in the Sunderland, but I left with even greater respect than ever for the aircraft and the men who served in her.